IMPORTANT: DO NOT CLICK ON THE "Buy" BUTTON UNTIL YOU HAVE READ THIS AGREEMENT. BY CLICKING ON THE "Buy" BUTTON, YOU ACCEPT ALL OF THE TERMS OF THIS AGREEMENT. IF YOU DO NOT ACCEPT ALL OF THE TERMS OF THIS AGREEMENT DO NOT CLICK ON THE "Buy" BUTTON. This software ("Software") is licensed, not sold, to you for use only under the terms of this License Agreement ("Agreement"). Alcohol Soft ("Licensor") continues to own the Software and reserves any rights not expressly granted to you. The Licensor grants to you, subject to the terms and conditions of this Agreement and payment of all applicable license fees, a nonexclusive, non-transferable right to use the Software. This Agreement grants to you the right to install and use the Software on a hard disk or other storage device on a single computer provided that the Software may only be used by a "Licensed User" on one computer\operating system at any one time. 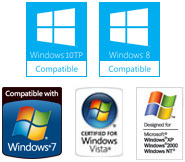 (Provision is made to switch activations between Computers and separate operating systems on the same machine). The term "Licensed User" means the user to whom Licensor issues a registration key to enable the Software upon such user's acceptance of the terms of this Agreement and payment of the applicable license fee. You may copy the Software in object code form only for archival and back-up purposes, provided such back-up copy is not installed or used on any other computer. Ownership of, and title to, the Software and any manuals, guides or any other printed material that Licensor provided to you for use with the Software ("Documentation") is and will be held by Licensor and its licensors. You agree to protect the Software and the Documentation from unauthorized copying or use. You acknowledge that the source code for the Software and other trade secrets embodied in the Software have not been, and are not going to be, disclosed to you. Modifications of, additions to, or deletions from the Software (including any deletion or addition of code) are strictly prohibited. Except as specifically permitted in this Agreement, you agree not to, directly or indirectly, (1) use any Confidential Information to create any software or documentation that is similar to any of the Software or Documentation; (2) reverse engineer, disassemble or decompile the Software; (3) encumber, transfer, sublicense, rent, lease, time-share or use the Software in any service bureau arrangement; or (4) copy (except as provided herein), distribute, manufacture, adapt, create derivative works of, translate, localize, or otherwise modify Software or permit any third party to engage in any of the acts proscribed in clauses (1) through (4). You agree not to remove or alter any printed or on-screen copyright, trade secret or other legal notices contained on or in the Software or the Documentation. Licensor retains all of its respective rights, title and interest in the Software and the Documentation, including without limitation any and all patents, patent applications, copyrights, trade secrets, trademarks and other intellectual property rights, and you agree not to take any action inconsistent with such title and ownership. YOU ACKNOWLEDGE AND AGREE THAT THE SOFTWARE MAY CONTAIN CODE OR REQUIRE DEVICES THAT DETECT OR PREVENT UNAUTHORIZED USE OF THE SOFTWARE. YOU ACKNOWLEDGE THAT THE SOFTWARE AND THE DOCUMENTATION ARE BEING SUPPLIED TO YOU ON AN "AS IS" BASIS. LICENSOR HEREBY EXPRESSLY DISCLAIMS ALL WARRANTIES REGARDING THE SOFTWARE AND THE DOCUMENTATION, WHETHER EXPRESS OR IMPLIED, ORAL OR WRITTEN, INCLUDING WARRANTIES OF MERCHANTABILITY, FITNESS FOR ANY PARTICULAR PURPOSE, TITLE OR NON-INFRINGEMENT, AS WELL AS ALL WARRANTIES ARISING BY USAGE OF TRADE AND COURSE OF DEALING. LICENSOR DOES NOT WARRANT THAT (A) THE SOFTWARE WILL MEET YOUR REQUIREMENTS, (B) OPERATION OF THE SOFTWARE WILL BE UNINTERRUPTED OR ERROR FREE, OR (C) DEFECTS WILL BE CORRECTED. SOME JURISDICTIONS DO NOT ALLOW THE EXCLUSION OF IMPLIED WARRANTIES, SO THE ABOVE LIMITATIONS MAY NOT APPLY TO YOU. To the extent permissible, any implied warranties are limited to ninety (90) days. LICENSOR'S LIABILITY FOR DAMAGES TO LICENSEE FOR ANY CAUSES WHATSOEVER, REGARDLESS OF THE FORM OF ANY CLAIM OR ACTION, SHALL NOT EXCEED THE AGGREGATE FEES PAID BY Y0U FOR THE SOFTWARE. LICENSOR SHALL IN NO EVENT BE LIABLE FOR ANY LOSS OF PROFITS, LOSS OF DATA, INTERRUPTION OF BUSINESS, OR FOR DIRECT, INDIRECT, SPECIAL, INCIDENTAL, CONSEQUENTIAL OR PUNITIVE DAMAGES OF ANY KIND, WHETHER UNDER THIS AGREEMENT OR OTHERWISE ARISING IN ANY WAY IN CONNECTION WITH THE SOFTWARE, THE DOCUMENTATION OR THIS AGREEMENT, EVEN IF LICENSOR HAS BEEN ADVISED OF THE POSSIBILITY OF SUCH DAMAGE. SOME JURISDICTIONS DO NOT ALLOW THE EXCLUSION OR LIMITATION OF INCIDENTAL OR CONSEQUENTIAL DAMAGES, SO THE ABOVE EXCLUSION OR LIMITATION MAY NOT APPLY TO YOU. Upon first run of the Software you will be required to enter the unique alphanumeric user serial number and your email address (connection to the internet is required for this, if you do not have an internet connection contact info@alcohol-soft.com )You are responsible for maintaining the confidentiality of your serial number and email address and are liable for any harm or loss resulting from disclosing or allowing disclosure of any serial number or from use by any person of your serial number\email address to gain access to the Software. It is the user's responsibility to ensure that they can establish a direct connection to the alcohol server to login and download the software. Licensed Users whose accounts have been terminated by Licensor may not access the Software in any manner or for any reason without the express written permission of Licensor. Active Named Users may not knowingly allow former Users who have been terminated to use the active Licensed User's accounts. Before registering for use of the Software, you shall pay to Licensor the license fee. All payments due under this Agreement shall be made in Euro unless otherwise stated on the purchase page. As long as Licensor generally offers to third parties licenses to use the Software, Licensor will (1) maintain an e-mail address for responding to maintenance issues and users questions and (2) provide generally offered updates or enhancements of the Software and the Documentation that Licensor periodically makes available to Licensed Users at no additional charge during the purchased license period. Any updates or enhancements to the Software delivered by way of support services shall be treated for all purposes under this Agreement as Software and all intellectual property rights therein shall be retained by Licensor. This Agreement shall remain in force until terminated as provided herein. You may terminate this Agreement at any time and for any reason upon deletion of the Software from any computer or storage device. This Agreement will also terminate if you breach any of the terms or conditions of this Agreement. You agree that in the event of the termination of this Agreement for any reason, your license rights to the Software and the Documentation are immediately terminated. Licensor reserves the right without notice to disable (including remotely) the Software in the event of a breach of this Agreement by you. If the Software or Documentation is acquired by or on behalf of a unit or agency of the United States Government (the "Government"), the Government agrees that such Software and Documentation is "commercial computer software" and "commercial computer software documentation", respectively, and that absent a written agreement to the contrary, the Government's rights with respect to such Software and Documentation are, in the case of civilian agency use, RESTRICTED RIGHTS, as defined in FAR §52.227.19, and if for the Department of Defence use, limited by the terms of this Agreement, pursuant to DFAR §227.7202. The use of the Software or Documentation by the Government constitutes acknowledgment of Licensor's proprietary rights in the Software and Documentation. Contractor/manufacturer is Licensor. You agree that you shall not export or re-export, directly or indirectly (including via remote access), Software, Documentation or other information or materials provided by Licensor hereunder, to any country for which the United States or any other relevant jurisdiction requires any export license or other governmental approval at the time of export without first obtaining such license or approval. It shall be your responsibility to comply with the latest United States export regulations, and you shall defend and indemnify Licensor from and against any damages, fines, penalties, assessments, liabilities, costs and expenses (including reasonable attorneys' fees and court costs) arising out of any claim that the Software, Documentation, or other information or materials provided by Licensor hereunder were exported or otherwise accessed, shipped or transported in violation of applicable laws and regulations. You shall comply with all laws, legislation, rules, regulations, and governmental requirements with respect to the Software, and the performance by Licensee of its obligations hereunder, of any jurisdiction in or from which Licensee directly or indirectly causes the Software to be used or accessed. In the event that any provision of this Agreement shall, in whole or in part, be determined to be invalid, unenforceable or void for any reason, such determination shall affect only the portion of such provision determined to be invalid, unenforceable or void, and shall not affect in any way the remainder of such provision or any other provision of this Agreement. This Agreement constitutes the entire agreement between the parties with regard to the subject matter hereof and supersedes all prior understandings and agreements, whether written or oral, as to such subject matter. No waiver, consent, modification or change of terms of this Agreement shall bind either party unless in writing signed by both parties, and then such waiver, consent, modification or change shall be effective only in the specific instance and for the specific purpose given. This Agreement and the rights and obligations hereunder, may not be assigned, in whole or in part by Licensee, without the prior written consent of Licensor. In the case of any permitted assignment or transfer of or under this Agreement, this Agreement or the relevant provisions shall be binding upon, and inure to the benefit of, the successors, executors, heirs, representatives, administrators and assigns of the parties hereto. Alcohol Soft cooperates with law enforcement inquiries, as well as other third parties, to enforce laws. We can (and you authorize us to) disclose any information about you to law enforcement or other government officials as we, in our sole discretion, believe necessary or appropriate, in connection with an investigation of fraud, intellectual property infringements, or other activity that is illegal or may expose us, service or content providers we work with, or you to possible legal liability. Alcohol Soft reserves the right to suspend or terminate your access to all or any part of the Service at any time for any reason without prior notice or liability. Alcohol Soft may change, suspend or discontinue all or any aspect of the Service at any time, including any feature, database, or content, without prior notice or liability. We are committed to protecting the information you provide us. To prevent unauthorized access or disclosure, to maintain data accuracy, and to ensure the appropriate use of the information, we have in place physical, electronic and managerial procedures to safeguard the information we collect. We use reasonable precautions to protect our users' personal information and to store it securely. Sensitive information that is transmitted to us online (such as credit card number) is encrypted and is transmitted to us securely. In addition, access to all of our users' information, is restricted. Only employees who need the information to perform a specific job are granted access to personally identifiable information. All Alcohol Soft Software products are available for a free 15-day evaluation. Customers are encouraged to fully evaluate the software prior to purchasing a software license. Evaluation software may be downloaded from the Alcohol Soft web site, is functional, and includes complete online documentation. During the evaluation period, technical support is available by sending e-mail to support_team@alcohol-soft.com or viewing the support forum at http://forum.alcohol-soft.com. Alcohol Soft believes strongly that no customer should have to buy software in order to find out how well it works. Software purchases should be based on thorough evaluation of the most current, functional technology. Users should be able to test every feature of a software package for functionality and compatibility. Alcohol Soft software can be evaluated for a free 15 day trial period with no limitations in capabilities, other than a restriction on the number of virtual drives available and a maximum 100mb file limitation for Alcohol Xtra pre-Mastering Function. Prior to purchasing please be sure that you have tested the trial version, and that it meets your requirements, Refunds will only be made if there is a technical problem with the retail version that was not apparent in the trial version or can not be resolved by our technical and support teams within an acceptable period of time. If you are not satisfied, send e-mail to refunds@alcohol-soft.com or call our Sales department between the hours of 9:00AM and 5:00PM (GMT), Monday to Friday on: +44(0)28 90486646 (English only) within 7 days of purchasing a license (administration and restocking fee of 15% may be applied). By using this Web site, you agree to indemnify, defend and hold Alcohol Soft, its affiliates, and their respective officers, directors, owners, agents, information providers and licensors (collectively, the Alcohol Soft Parties) harmless from and against any and all liability, losses, costs and expenses (including attorneys' fees) incurred by any Alcohol Soft Party in connection with any claim arising out of any use or alleged use of your password or online persona by any person, whether or not authorized by you. Alcohol Soft reserves the right, at its own expense, to assume the exclusive defence and control of any matter otherwise subject to indemnification by you, and in such case, you agree to cooperate with Alcohol Soft's defence of such claim. This agreement shall be exclusively governed by and construed in accordance with the laws of England and the English Courts shall have exclusive jurisdiction over all disputes arising out of the subject matter of this Agreement. You acknowledge that (a) you have read and understand this Agreement; and (b) that this Agreement has the same force and effect as a signed agreement. IF YOU AGREE TO ALL OF THE FOREGOING, please continue with your purchase - "Clicking on the Buy button" indicates your acceptance of the license terms.